North East Times is a high quality monthly publication that combines inspiring business and lifestyle content for professionals. North East Times Magazine had a very specific idea of how they wanted their website. 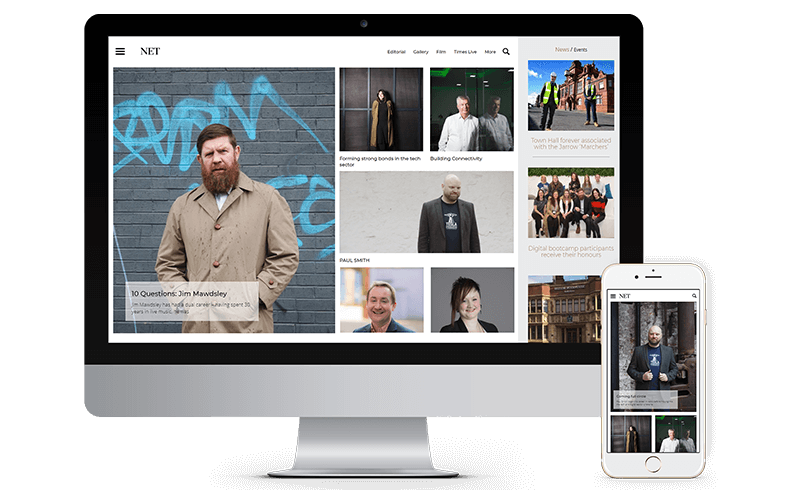 As they had an existing WordPress the challenge with this project was taking their content and getting it to work and function correctly within the new design. We developed the website based on the design that they had created, with the idea that it would still feel like the printed magazine. The large bold imagery on the side of each article changes as the visitor scrolls through the article giving the effect that a page is being turned and once they reach the bottom of the page it automatically moves onto the next article.